You’ve seen it before: a pig eating a hotdog, an ice cream eating a cone, a chicken eating a drumstick… animals and inanimate objects consuming themselves. This disturbing yet satisfying art is typically found on the signs of restaurants and butcher shops. 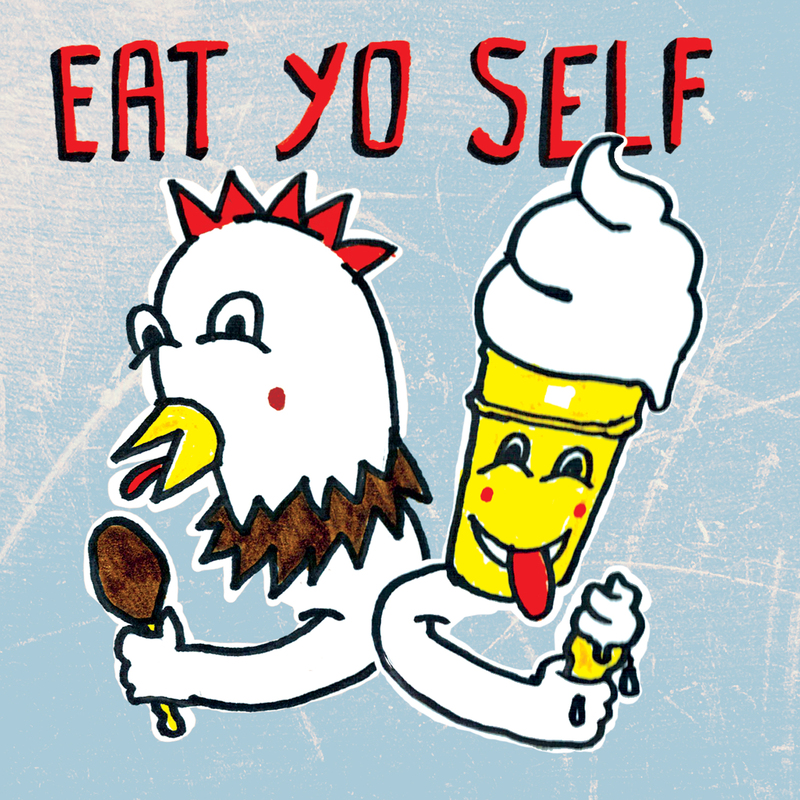 Eat Yo Self is a group art show tribute to anthropomorphic cannibalism. Artists: Alicia Zofia, Amanda Weedmark, Andrea Hooge, Becky Nguyen, Berny Siu, Caitlin Bauman, Carl Baird, Chris Bentzen, Cindy Scaife, Corinne Leroux, Daniel Duncan, Emily Rau, Erin Gibbs, Flavia, Geoffrey Grisso, Jake Collinge, JD Renaud, Jennifer Chernecki, Kat Oughton, Katie Blecker, Kimberley Howie, Kinsey Deakin, Kirsten Hatfield, Lara Hjorthoy, Mallory Donen, Mandy Lau, Megan Majewski, Minjoo Kim & Yeonhee Ellie Seo, Sean Moxley, Solaleh Kazemi, Steve Clark, and Taylor Krulicki.